Gently infused in organic coconut oil, fresh ginger root, powdered cayenne pepper, dried goldenrod and mint....all coming together for a soothing salve for aches and pain. She's not an immediate relief, but builds a slow dance with your body and aids in bringing a warming and healing relief for many aches. 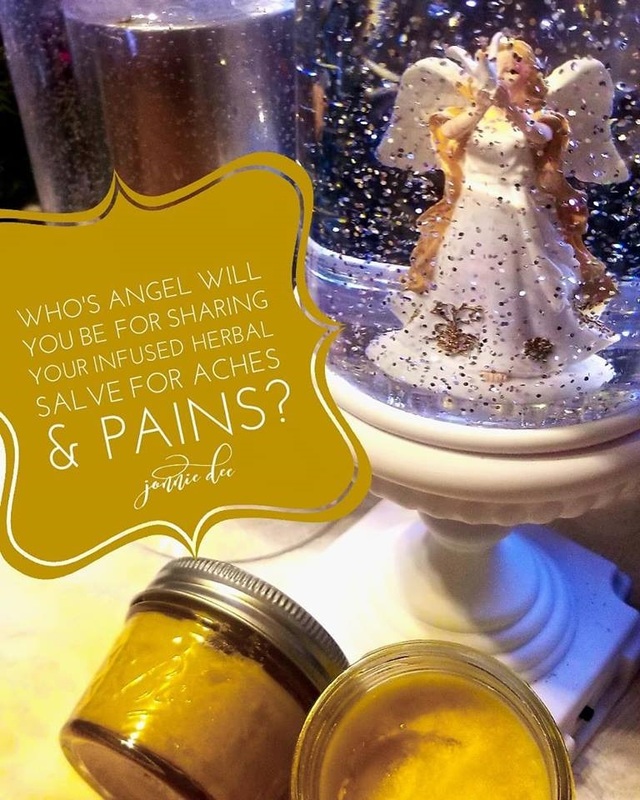 Who's angel will you be by sharing your infused herbal salves with those you love. It's often said that time is a precious gift. I consider this a much better gift than some of the brightly colored baubles we purchase. The love and energy of collecting the local sunkissed herbs and my joyful spirit of making the salve, makes this a perfect gift for my mother. I hope to get brave enough to share a few videos in 2019.